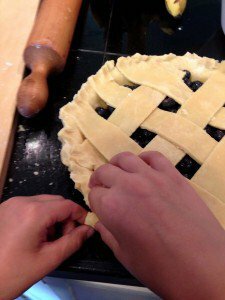 Homemade Blueberry Pie so Simple that Even a Kid can Make! 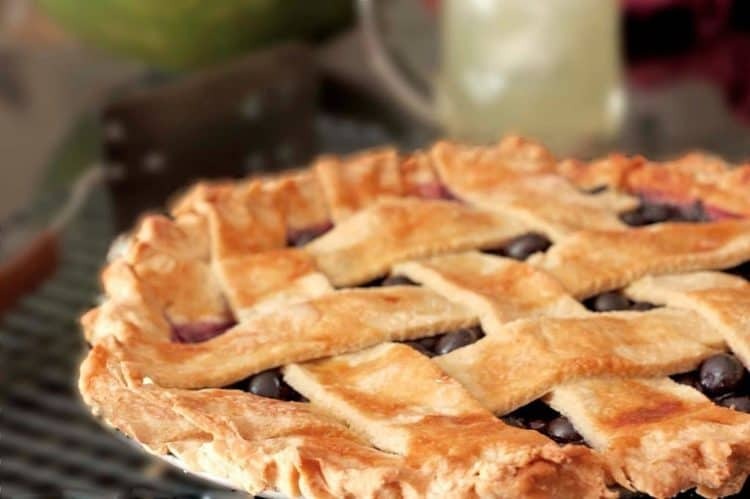 Homemade Blueberry Pie is a hallmark of summer. 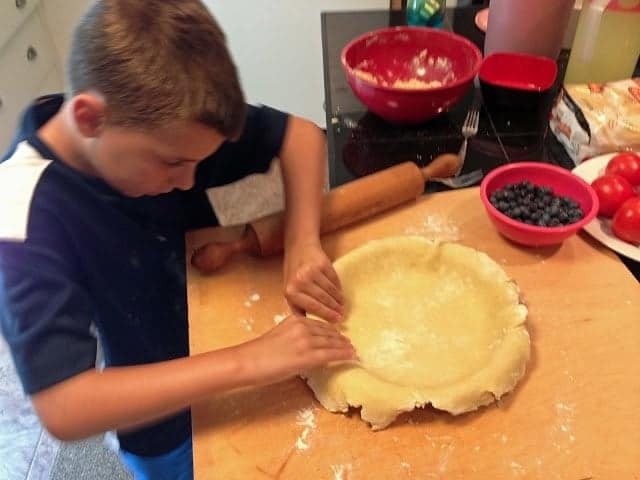 This recipe is so easy that even a kid can make it and we are here to show you how it’s done! If you have been following Platter Talk or if you are familiar with our family, you likely are up to snuff on our composition. In some circles we are probably considered “different,” but thankfully among our friends and acquaintances and most importantly our kids – we are seen as a pretty average and “normal” clan. Still, six boys, two dads, and an English bulldog who is convinced that she is just one of the gang, all make for nary a dull moment. Each of our boys are different. We have athletes, a budding entomologist with a genius-edge to him, a techno-geek who is just on the verge of inventing the next big gadget, and then there are the two smallest, red-topped/blue-eyed Mensa candidates who show one level or another of interest in all of the above.. 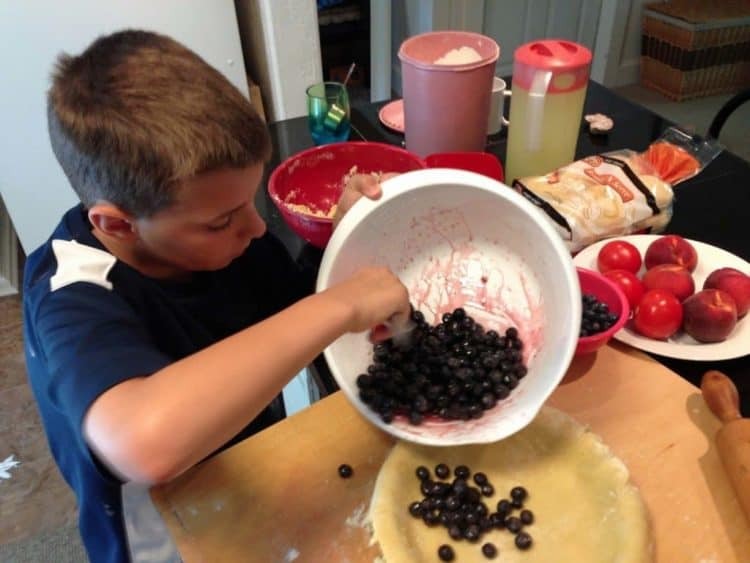 In spite of their difference, they all share one quality among many other similar ones: They love to eat and each of them has embraced the concept of this food blog with a wonderment and enthusiasm that is all too often found only among children. As a family we are all learning about food blogging and having a fun time in the process. There is plenty for everyone to do. Together, we think of ideas for new posts – and more times than not the production is a group effort. Besides their assistance in making the food, our guys do a great job in helping out with the photography and lighting, being hand models, and playing the role of all-around-gofers, in general. Our guys typically are in the kitchen before, during, and after food preparation and all have voiced interest in participating in the posts, here on Platter Talk. 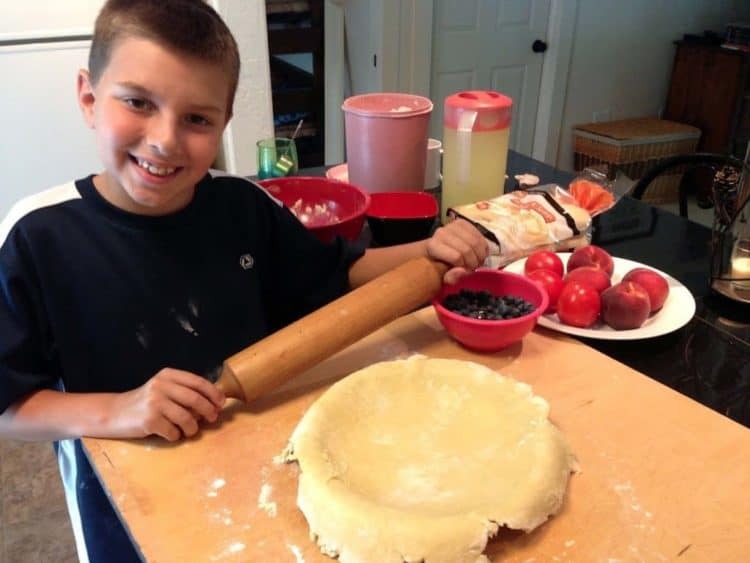 Isaiah is not only the first one to pull a fish out of the lake, four years running, he was also the first of our boys to be featured in a Platter Talk post, back when he helped out with making (and eating) raised donuts. 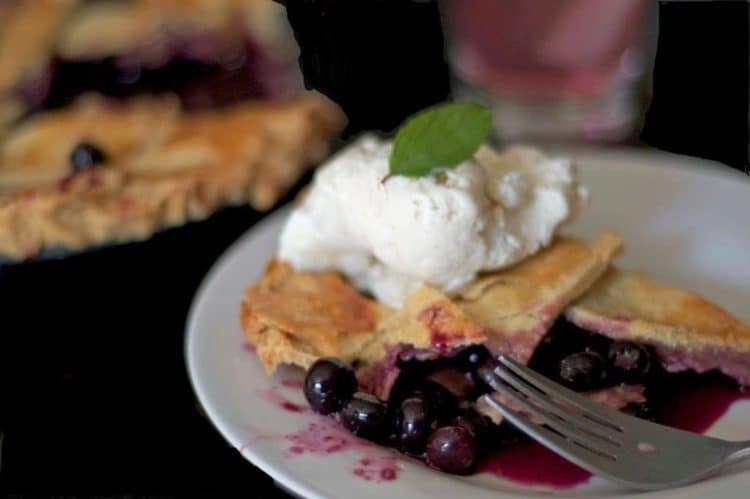 Joe is next up to bat here on our blog and he chose homemade blueberry pie to feature. With great pride, I turn the keyboard over to Joe, one of the happiest and most fun-loving 10 year-olds you will ever meet. Despite the effort it was also fun making the pie with my dad. So, I really liked it. My brother also did a great job with his post but enough about him, you can check out his post for yourself. I learned that my dad baked food in fairs when he was a kid. He learned it all from my grandmother. He also got nervous sometimes. I was a little nervous making this pie since it was my first time. 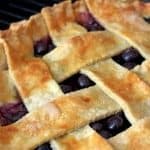 Now this pie was easy to make but also challenging, so I struggled a little. But I made the pie! 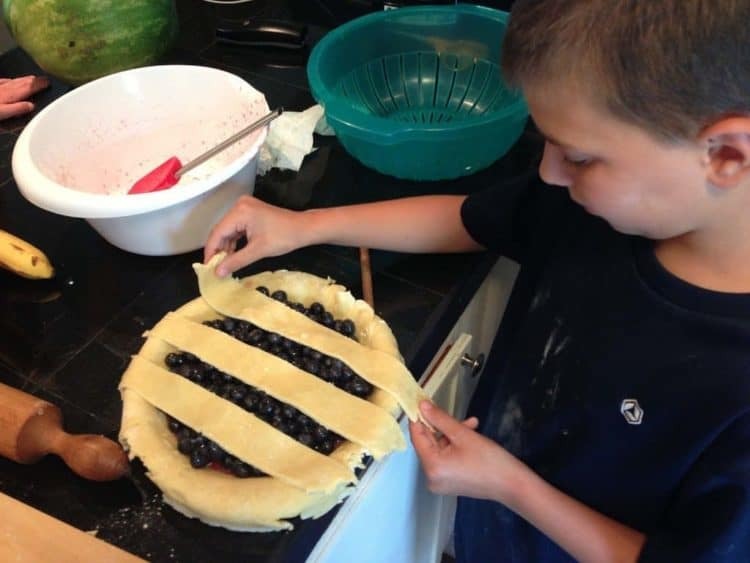 First I was making the crust, it was hard to spin the crust with a fork in a ball. It was also hard to roll out the crust. I learned that my dad loved to make pies when he was young. 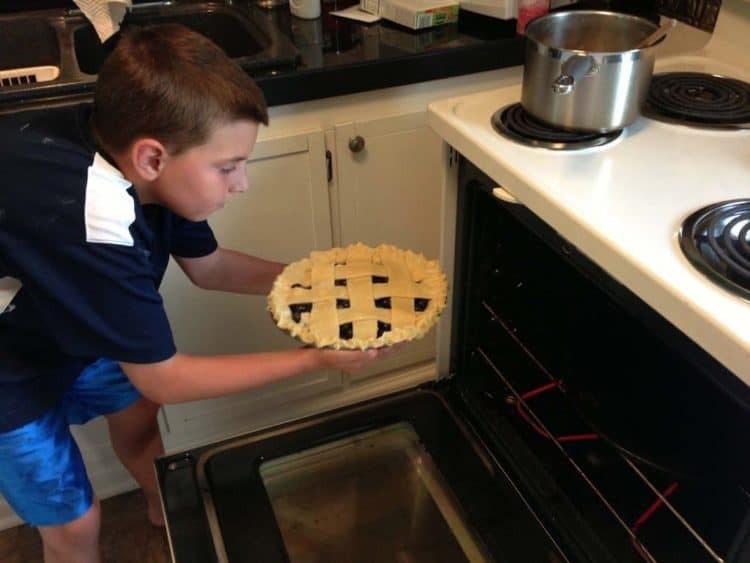 I also like to make pies. Combine all ingredients, gently fold scraping along sides of bowl to avoid crushing the berries. I LOVE this post! You have me busy thinking of more ways to incorporate my girls into my blog! 🙂 Looks delicious and what a great job–*I* hate rolling dough out! So impressed! What a yummy pie! So sweet to get the kids involved too! Thanks for the comments, the kids love helping out in the kitchen and especially preparing something for Platter Talk! How marvelous you have so many eager helpers in the kitchen. I find myself getting frustrated when my son wants my attention while I cook – I really need to figure out a way to include him in the process. 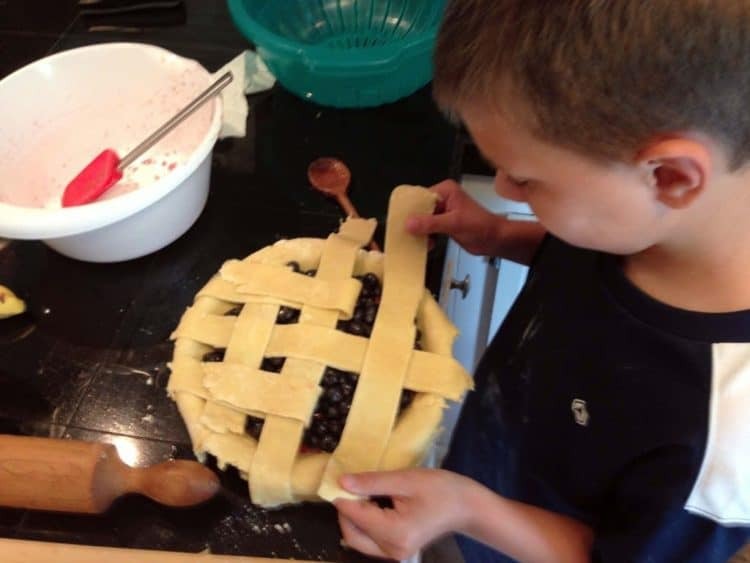 As inconvenient as it may seem at the time, having your kids give you a hand in the kitchen and making something together is an experience both of you will always remember. Thanks for taking the time to comment! Such a gorgeous pie! So nice to have your son in the kitchen with you helping out. Great post Dan! Thank you for the comments. Joe and I both had a fun time putting this together, and then eating it! We’ve got a fun bunch of kids, that’s for sure and thankfully they all enjoy good food. Thanks for your kind comments! You are so much cooler than me. I fah-reak out if my kids go messing in my kitchen. Sometimes I let them help, but it’s such a small space that mostly I just want to be alooooone. Beautiful pie, gorgeous family!!! I’m guessing you either aren’t cooking with wine, or perhaps not quite enough? 🙂 I’ve gotten use to broken eggs all over the place, spilled ingredients on the floor and everything else imaginable when it comes to cooking with kids. In the end though we always have a fun time! Thanks for the nice comments, hope your summer is going well!! 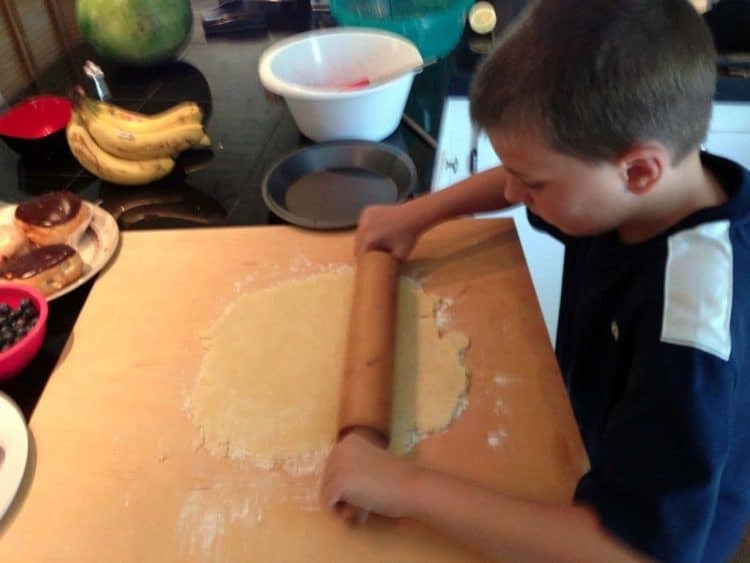 Great post, love seeing kids in the kitchen. 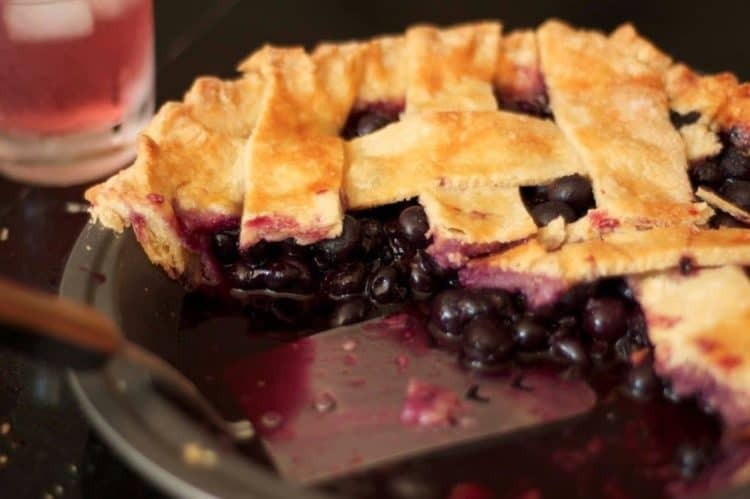 And what a beautiful blueberry pie it was, it has my belly growling! Thankfully we love kids in the kitchen too, we clearly have no choice in the matter! Thanks for stopping by and leaving a comment. This is an awesome sounding pie! And the pictures make me drool! Thanks for the comments! I hope you give this recipe a try!! Great post Joe (and Dan). 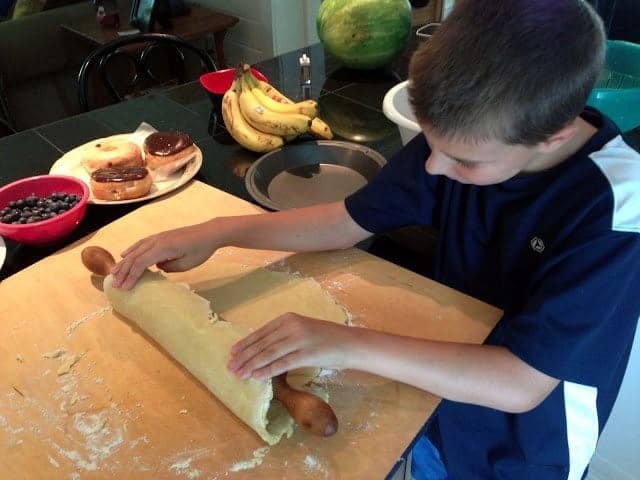 I have two sons (12 and 10 yrs old) who like to “get their hands dirty” in the kitchen too. 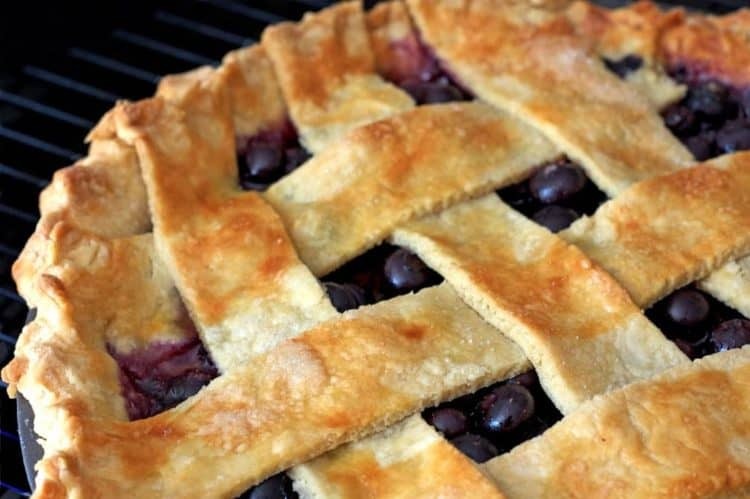 This pie looks so good… you couldn’t save me a slice could you? Thanks so much. We have a lot of good times as a family, but I don’t think there is a more popular place than the kitchen, usually while we are making something together or sitting down together for a meal. And… sorry. No leftovers from this one! Thanks for the nice comments. Joe was so excited to do this, he already has his next post planned! !